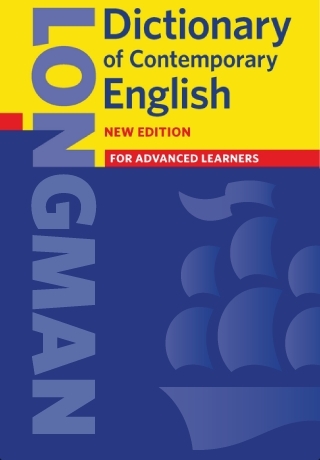 Longman's flagship learner’s dictionary, fully updated in 2009, is now available as an iOS devices application. 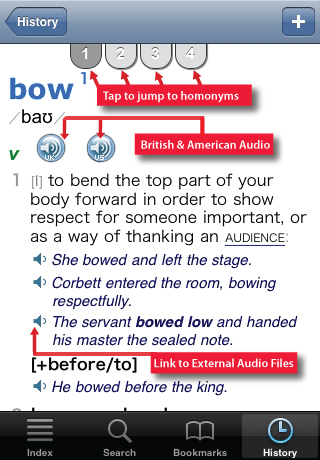 Improve your fluency in English with the most up-to-date learner's dictionary at your fingertips. Now with integrated Thesaurus and Collocations Dictionary. 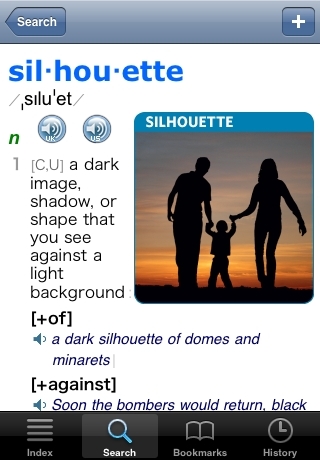 Clear definitions written using only 2,000 common words. 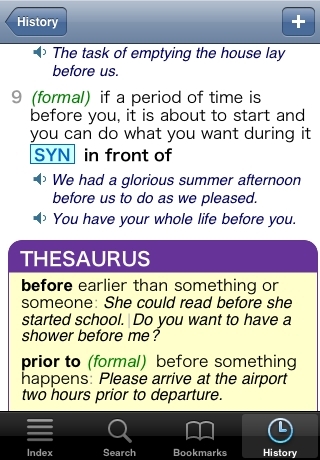 Register Notes focus on the differences between spoken and written English. The Academic Word List is highlighted to help you improve your essays and presentations. Grammar and warning notes ensure that you avoid the most common errors. 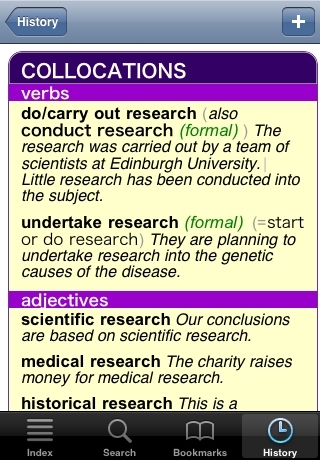 Integrated Collocations Dictionary. Over 80,000 collocations will improve your fluency. Integrated Thesaurus. 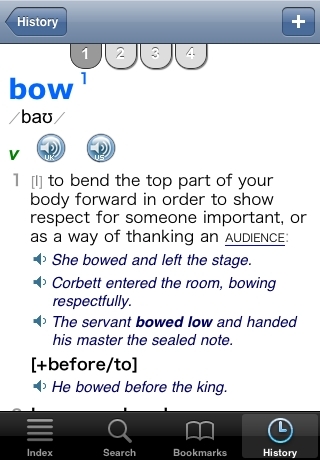 Over 20,000 synonyms, antonyms and related words will improve your vocabulary range. Making this the largest resource of English available for any mobile platform.